Came across the interesting (if sparsely updated) PolEmics blog of Emilia Palonen, who has done a PhD on political polarization in contemporary Hungary. Although framed in terms of discourse analysis dealing with the ideological construction of polarization which is not intellectually my cup of tea, and centring heavily on now very fashionable area of public/urban space, memorials and memorialisation in CEE, its analysis of specific politicians’ discourses on particular themes are worth reading. There is also useful discussion of the 2007 Finnish elections, the ins-and-outs of the Finnish electoral system and the interesting phenomenon of the Finnish Greens moving from a red-green to a kind of blue-green coalition, although Finland’s ex-agrarian Centre Party and centre-right National Coalition party are not quite understandable in terms of the West European (or even East Central European) centre-right. Finland, it seems, has more of a consensus based tradition of politics despite left-right alternation (of sorts) seemingly rooted in the memory of sharp conflict between Left and Right in the interwar period. Conversation in a café with a long-term observer of Hungarian politics about the prospects of the Hungarian right: Orbán and Fidesz are big, sprawling and militant constantly seeking to moblize against the Socialist government which they see – very radically – as not legitmate and it is questionable whether they can maintain their current breadth. Orbán, it seems, is personally and politically tired out – the radical strategy of confrontation has led nowhere very much, absorbs political energy and obstructs policy renewal and Fidesz’s big tent does not stretch far enough to outvote the combined forces of Socialist and Liberals but merely makes it difficult to cater credibly for Hungary’s diverse constituencies resulting in vague populism. Despite once champioing the creation of a national middle class, Fidesz is now apparantly lurching towards economic Orbán has recently done Blair-style visits to deprived estates to stress that he is fishing outside the tradition (rural/religious/provincial) waters Hungarian right-wing support. Fidesz‘s smaller ally, the Hungarian Democratic Forum (MDF) has broken away claiming to represent both the historic heritage of the post-1989 Hungarian right (when as much larger grouping, it formed the core of Hungary’s first democratically elected government after one-party rule) and a more market friendly, socially- and internationally respectable civic-minded conservatism. Could an oversized Fidesz, I wondered, start to erode and fragment? No probably not I was told. Too much time spent studying the stable and stolid world of Czech politics, it seems, had left me with a rather fevered political imagination, although a scenario like Orbán’s sudden departure Haider-style in a fit of pique might trigger a party crisis. ODS at least managed to keep going after the departure of its charismatic founder and his occasional efforts at backseat driving from Prague Castle. Well, I wondered, could the Hungarian Democratic Forum come through the middle like Poland’s liberal-conservative Civic Platform making Hungary’s party politics triangular once again (Socialists vs. Liberal vs. Conservative Nationalists). Again unlikely, it seems. Hungary’s mixed electoral systém makes a widespread small party breakthrough difficult because of the need to win many single member constitutencies. >Hungary: believe me, I lied. If, as suggested, it is a political ploy to kickstart the process of reform in a political system, where intense two-party competition and the free spending inclination of conservative-populist right opposition keen on subsidizing the middle class and small town Hungarians they see essence of a Hungarian nation, then it is most interesting. Whether it will short circuit the historical pathways that have generated Hungary’s well entrenched party system and generate a constituency for reform remains to be seen…. > Beyond journalist reports, there is a dearth of English language coverage of Hungarian politics on the recent Hungarian elections, won – again narrowly – by the post-communist Socialists despite the breadth, organization and charismatic leadership of the conservative-nationalist right Fidesz-MPSz under Viktor Orbán. A partial exception is the talk at Chatham House given by my former SSEES colleague and now Fidesz MEP, Prof George (more properly György) Schöpflin, who following his own self-description on one occasion I always think of an intellectual Cheshire Cat. The talk, which is on Fidesz’s European Parliament website but hard to get to , is reproduced below. I found it a rather interesting mix of intellectual detachment and partisan comment, which – as with George’s academic writings on post-communism and nationalism – poses some interesting wider questions through the prism of the Hungarian experience. I also reproduce another Schöpflin article eflecting on the prospects of the Hungary right. There is a conventional analysis of Hungary that treats the country’s politics as a straightforward contest between left and right and assimilates these terms to Western or even the local – British, French, German – meanings of these terms. This level of analysis is favoured by much of the Western media and by their counterparts in Hungary. It is a widespread interpretation, but it is also ideological and thus misleading. Despite the similarity of language and at first sight even of political institutions (constitution, parliament, government, political parties), there are qualitative differences between the post-communist world and the part of Europe that did not endure 45 years of communist party rule. Some of these differences stem from the habits of mind absorbed under communism, some from the way in which the exit from communism was attained and some from the subsequent behaviour of the political actors. These processes continue to be relevant factors in explaining the pattern of politics and the acceptance of these states as functioning democracies by the EU does nothing to change the model sketched here. The particularities of the Hungarian case can also be illuminated by making comparisons with other former communist states, as a way of explaining why processes move in one way in one state and differently in another. The emphasis here is on the decisions of the actors involved and on the intended and unintended consequences of their actions. If we survey Hungary in the light of the above, what will strike any knowledgeable observer is not the left-right divide as such, but the depth and intensity of that cleavage. It is no ordinary left or right that we are dealing with, but with two irreconcilable visions of the world, with two moral orders, with two visions of right and wrong that use the labels “left” and “right”. The divide is unbelievably deep. It splits families, it breaks up friendships, there is next to no language that is shared between the two; indeed, in Budapest it goes so far that there are identifiably left wing and right wing restaurants. It is not going too far to call this a “cold civil war”. The divide has some of its roots in the pre-communist past, in the unresolved issues of the Second World War and Hungarian society’s role in the Holocaust, in the failed revolution of 1956 and the deals made with the regime afterwards, the winners and losers of the Kádár years and in the actual transition to the new regime in 1989. This last was quite remarkably trouble free; the deal basically was that there would be no reckoning with the past, and that included drawing a veil over crimes against humanity committed by the communists, the communist rulers could keep their party property, networks and organisations, as well as the hastily acquired assets in the semi-legal privatisations of the early years. There was a tacit assumption that on the basis of this generous deal, the former communists would stay out of power and let democracy evolve along Western lines. This was a false expectation and the former communists, reconfigured as the Hungarian Socialist Party, returned to government in the 1994 elections. By way of contrast, in Estonia the communist party lost all its property and organisational links, with the result that the Estonian political scene is very different from the Hungarian, because the carry-over is much smaller. Poland, Slovenia and Lithuania are closer to the Hungarian pattern, while the Czech Republic made a much cleaner break with the past thanks to the Velvet Revolution. > Estonia’s pattern of transition – exit from a multi-national federation – seems to have facilitated a rapprochement and national movement, that never occurred in Hungary despite its pacted transition. Interestingly the post-communist left is also very weak (nay non-existent in Slovakia), although Robert Fico’s Smer-SD seems a functional if populist substitute. The Hungarian Socialists may have changed their branding, but their habits of mind, above all their concept of power as something to be exercised as a monopoly and without either self-limitation or ethical inhibitions, had not changed. Why and how could it have done in five years? For a transformation of that kind to have taken place, something far more radical and sudden than the smooth transfer of 1989, a thoroughgoing caesura, would have to have taken place. In the absence of this break, the political order in Hungary is not and has not been a level playing-field – the left has built in advantages over the right and exploits them to the extent that it is able. The outcome is not only the extraordinarily deep political divide, but a serious gap in democratic practice, in that the ongoing critique of power never emerges because such criticism is seen as ideological and illegitimate by both sides. > This echoes the academic ‘perils of polarization’ argument, which undermines the more recent ‘robust competition’ thesis in which Hungary is a model of left-right alternation. The Hungarian right had a much more difficult task than the left, in that it had to redefine itself from nothing. What, if one was a conservative in 1989, was the past that one was conserving as a point of reference? It obviously could not be the communist past, for that had been appropriated by the left, the pre-communist past was unusable – the neo-feudal conditions of the 1930s were not attractive to anyone other than a few nostalgics. There was no self-evident answer and the task of becoming conservative was made worse by the political inexperience of the newly elected politicians. The danger for the right was and is that if there is no tradition by which it can be guided, it will be captured by radical nationalism, something that the left would dearly like to see to enhance its own claims as the monopoly possessor of democratic norms. In fact, this capture of the right has not happened, despite the best efforts of the left and their counterparts in the West. Broadly, both sides have their agendas and strategic goals and in both cases the conventional labels and, for that matter, their own self-descriptions tell only a part of the story. Each regards the other as basically illegitimate or, at best, barely legitimate and each treats the other as a hostile force, rather than as the proper representative of the opposition or of government. The left regards the right as crypto-fascist, chauvinist and anti-Semitic, sees the entire right-wing as extreme right and this has been naturalised in the left’s view of the world as irrefutable. The right sees the left as a grouping that is concerned only with its own narrow interests salvaged from the communist past, with neglecting the interests of the Hungarian state and society and as having no genuine concept of being Hungarian, but as the alien, comprador agents of globalisation. Neither side appreciates the labelling activities of the other. It is in this context that personalities have their role. The personality of Viktor Orbán is unquestionably at the centre of this. Both left and right are fascinated and obsessed by him. 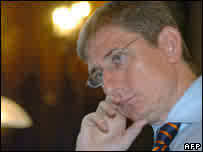 He unquestionably has charisma and a strategic view of what Hungarian society’s interests are and should be. In summary form, he is seeking to reconstitute the Hungarian modernity that was broken with the collapse of 1918. > An interesting point – I would like to know more… Contrasts with the Czech right’s more sceptical take on interwar Czechoslovakia and the left-liberal Masarykian tradition (a less effective experience of state-building I guess). It is difficult to exaggerate the trauma of that event which haunted Hungary throughout the 20th century. Linking Hungarian conservatism with a Hungarian modernity as the means of regaining self-confidence in Europe has been at the heart of Orbán’s strategy. The strategy also recognised the nation as a community of interests and solidarity, one whose members owe one another a certain measure of mutual support. Orbán is a superb public speaker, able to hold the attention of a very large crowd – addressing a million people is no easy task. He cannot be ignored. But there are problems with charisma under modern democratic conditions, for while some are enthralled, others are repelled, so that Orbán’s personality is unquestionably divisive. He has the unconditional loyalty of about two-fifths of the (politically active) electorate and equally the visceral distrust of another two-fifths. Indeed, he is regarded by the left as something close to the devil incarnate and is demonised ceaselessly. If Orbán has genuine charisma, Ferenc Gyurcsány – reelected as prime minister in the April elections – has a good public presence, a measure of charm, comes over as dynamic without being threatening and has justified the faith placed in him by the left, as the man capable of taking on Orbán successfully. The right, on the other hand, dislikes him as smarmy, as dishonest (Gyurcsány is a millionaire who made his money in the grey privatisation of the early 1990s) and as unfit to be prime minister. The left won the election for a number of reasons, one of which is that the right lost it. Orbán’s strategy for the right was to integrate all right-wing currents into a single political force that would appeal to a majority of voters. This strategy failed and it did so because the campaign run by Fidesz proved to be mistaken – above all, because it launched Fidesz into a campaign of competitive bidding by offering ever greater rewards to the voters. The left, being in government, could thereby ward off this challenge and appear simultaneously reliable and credible by maintaining that it and it alone was the guarantor of the well-being of Hungarian society. This effectively precluded Fidesz, the challenger, from addressing the remaining one-fifth of voters, those who were uncertain or undecided. It is noteworthy that until last autumn Fidesz was well ahead in the polls and it was when the campaign began in earnest, that its lead was steadily whittled away. Basically, campaigns do matter. This does not mean that the left’s victory was a landslide, far from it. It increased its support by a couple of percentage points over the 2002 result. And this does raise some questions that are by and large avoided in the Hungarian media. Why was the left unable to make serious inroads into the right-wing vote? Why did the left’s claim of an economically successful Hungary, symbolised by the invention of “the Pannonian puma” (there are no pumas in Hungary, except in the zoo maybe) and the “thundering” economy, not resonate on the right? This raises the issue that disturbs the right most deeply, the state of the Hungarian media. If the political field is divided and ideological, then it follows that the media will reflect this, and it does so in Hungary but not even-handedly. By any reckoning, at least four-fifths of the media supports the left and that includes the nominally independent state television channels. Any scrutiny of the media will show that in tone, content and language there is no serious attempt to recognise the right as the democratic representative of a sizeable section of Hungarian citizens. This adds fuel to the fire and strengthens the self-image of the right as an oppressed society that still suffers from the kind of disabilities that it endured under communism. Even if we do not accept this self-assessment, it is clear enough that there are two mutually exclusive concepts of citizenship and that these are wholly party-dependent and thus ideologically determined. In a very real way, the exclusion of the right was confirmed by Gyurcsány’s predecessor as left-wing prime minister, Péter Medgyessy, who declared on Hungary’s entry into the EU in 2004 that what he would like to leave behind was the half of society that voted for the right. All of the foregoing would be an interesting case of a political system that has taken a wrong turning or three, were it not for the impending crisis. The crisis is economic in origin, but has far-reaching political implications, especially if the management of the crisis were to be mishandled by the newly-elected government. Basically, Hungary – far from being the “Pannonian puma” – is in dire straits economically, with a budget deficit that is officially put at over 6 percent of GDP, but unofficially assessed at closer to 9 percent. The forint has begun to slide: it was steady at around 245 to the Euro last autumn, but currently stands at 270 and the downward trend could hit 300 or even 310. Most international credit agencies have downgraded Hungary and the EU Commission is breathing down the necks of the government to produce a euro convergence programme by 1 September that is not based on creative accounting. As for joining the Eurozone, which Hungary is obliged to work towards under the terms of its accession to the EU, this can be put off for many years. The optimists say 2012, the pessimists even later. In fact, the Hungarian public sector has somewhere of the order of 850 000 employees, which for a population of 10 million appears more than somewhat overstaffed. Worse still, the number of social security cards in circulation is estimated at 16 million and the proportion of Hungarians receiving disability benefit is several times the EU average. In some villages, limping is an infectious disease. This gives some insight into the reasons for state overspending, but there is more yet. The Medgyessy government inherited an economy that was in reasonable state, even if the Orbán government had made some dubious promises to the population before the 2002 elections. But when in power, the left embarked on a spending spree to reward their voters and the economy never really recovered from this bout of generosity. This is populism by any other name and the government never restored the country’s economic balance. There were three ministers of finance in four years to testify to this loss of balance. To add to these outgoings, the government had to satisfy its left-wing clients, by awarding them contracts and other benefits. Anecdotal evidence suggests that outsourcing government activity to government-friendly agencies is actually more costly than when performed by the state itself, but tendering is opaque and the figures are obscure. There is no question that a severely restrictive package of measures will have to be introduced. It is significant here that neither left nor right raised this issue during the election campaign – indeed, the left continued to trumpet its economic success (more pumas), while the right echoed it until the twenty-third hour, when it very belatedly raised the state of the economy as a campaign issue. Since the elections, the left-wing media has also woken from its dreamland and there is a now a noticeable clamour for action. The problem for the government is the trap of its own devising. The population is wholly unprepared for the crisis, has not the slightest idea of the reasons – here again the media are partly to blame for having done very little to educate society in economic realities – and will receive the news with shock, disappointment and resentment, especially those who voted for the left. The right-wing part of society will be in no mood to give the government the benefit of the doubt, given its exclusion. Fidesz has very little interest in giving the government a helping hand and it is most unlikely to be asked; indeed, efforts will be made to place the blame for the crisis on Fidesz, however implausible this may seem and it is hard to see why society should accept such an evasion of responsibility except when wearing ideological blinkers. So the government will have to handle the crisis with much reduced credibility. > The dynamics of Hungary’s politics of populist outbidding are interesting. Perhaps it is the price for Fidesz’s abandonment of liberalism and the Hungarian left’s failure to articulate a principled collectivism…. A further question in this connection is the future of the right. The Fidesz strategy of integrating all right-wing forces into a single party has failed, so something else will have to be elaborated, but having to respond to a devastating economic crisis is not the best background for this kind of rethinking. This can affect the outcome of the crisis if a part of the radical right splinters off and launches a campaign of agitation among the victims of the restrictive measures. Street demonstrations and even violence cannot be wholly excluded. This is only a scenario, but that does not mean it should be ignored. So far, the analysis has focused on the two dominant parties – the Socialists and Fidesz – but a short discussion of the Free Democrats and the Democratic Forum, who between them received 11 percent of the vote, is appropriate here. The Free Democrats proved fairly loyal to the Socialists in the last four years – they could have withdrawn their support for Medgyessy when it turned out that he had been a communist counter-intelligence agent, but they did not do so. The self-induced fear of the demonised right was more than enough to keep them in line. Paradoxically, the increased left-wing majority and the failure of the Fidesz strategy may now lead the Free Democrats to put some distance between themselves and the Socialists, though whether they can escape the opprobrium for the coming economic package is difficult to say. The other small party, the Forum, is hard to identify on the political spectrum. It describes itself as conservative, but has become utterly hostile to Fidesz and to Orbán. Relations between Orbán and the Forum leader, Ibolya Dávid, could hardly be worse. There is some evidence that the funds used in the Forum’s election campaign came from a left-wing source and several of those elected to parliament on the party’s list have left-wing associations. On present form, it is likely to play a neutral role between the left and Fidesz. Another constraint on the government is the upcoming local elections in October. On the one hand, the convergence programme must be finalised by September; on the other, severe cutbacks could result in a slaughter at the polls. It is hard to see how this circle can be squared. Furthermore, if the package is not harsh enough, then foreign investors would lose their faith in Hungary and the forint could fall even further. This too has unexpected social consequences. Somewhere over 40 percent of family and household credits, like mortgages, have been denominated in Euros and Swiss francs. The decline in the forint means a significant increase in repayments in an already tightening economy. Those affected certainly include some of the Free Democrats’ middle class supporters. Thus even if the violent scenario does not come to pass, the crisis will and it will unquestionably place severe strain on the government. The techniques of governing favoured by the left in the last four years have concentrated overwhelmingly on image creation, on presenting reality in a manner most favourable to itself. This is a classic example of a reality-defining agency operating as if it possessed the monopoly of the truth. In today’s world, with external constraints from the EU and the global market, with multiple sources of information, this imagined reality cannot diverge too far from what is genuinely happening without there being a very high price to pay. So the ultimate question is to what extent the left is, in fact, the prisoner of its narratives, how it can adapt to discovering that its popular support can become popular hostility. Power does carry responsibility with it and that brings its own costs. If the government is unable to make the shift, and its previous years in 5office are not encouraging in this respect, it could find that its self-legitimation is at risk, that it is beset by a radical uncertainty and by a loss of will to rule. If that happens, then there will be a very harsh test of Hungary’s democratic maturity. 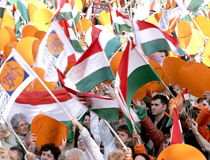 The prospects of the rightwing opposition – an analysis by György Schöpflin24 May 2006Despite the appalling governmental performance of the left-wing parties, the Hungarian right lost the 2006 elections primarily because of the poor campaign strategy. After the overwhelming rightwing victory at the European Parliamentary elections and in mid-term contests, it came as a great surprise that the Hungarian Socialist Party (MSZP) received 43% against the 42% scored by the Fidesz-Civic Union (Fidesz) in the first round of the elections. Capitalising on the psychological impact of this achievement, the MSZP increased its lead further in the second round. The new four-year term in opposition will be more difficult for Fidesz in comparison to the last parliamentary cycle. 1.) In respect of the fiscal budget, Hungary is in a dire situation. The question is what kind of austerity measures will the left-liberal coalition implement that will hurt the population in order to rectify the budget and avoid a fiscal crisis. In case the ruling power takes substantive measures (mass dismissals in the public sector, tax increases, health-care charges, higher retirement age), improvement can be expected in the fiscal budget and the introduction of the euro in 2010 would be feasible too. However, these measures could set off unpredictable social processes with unforeseeable political consequences. On the other hand, if the ruling power were to introduce superficial changes only instead of improving market competition (reducing the number of public sector employees, concentrating on short-term revenues, ill-regulated privatisation, the closure of ministries and other public institutions, as well as artificial administrative reforms), it might reduce the Hungarian fiscal deficit for a while, but real budgetary problems are likely to escalate and the economic sword of Damocles will hang over the head of the Hungarian state. In both cases, Fidesz will be judged in the long run by the party’s ability to strike the right balance between being a legitimate critic even on socially sensitive issues and to act as a responsible opposition force on issues of fiscal reforms. > Such fiscal squeezes are common issue across the Visegrad groups, in part reflecting problems of meeting Euro entry criteria, but Hungary does indeed face problems. Conservative-national formation like Fidesz – indeed especially Fidesz, which made an ideological long march from liberalism – face particular problems. 2.) Fidesz is facing a make-or-break congress in 2007. This congress – having analysed and digested the causes of the election defeat – would be in the position to send a clear message: it will move along the path of renewal by introducing structural changes, reviewing personnel policies and revising its traditional rhetoric in order to become more attractive for new voters. Without such signs of modernisation and rejuvenation, the party will not be able to attract those disenchanted voters in 2010 that would suffer as a result of the expected austerity measures designed to correct the economic mismanagement. 3.) Fidesz will also have to find an answer to a serious dichotomy: while the chairman of the party Viktor Orbán is able to rally huge number of people, leftwing voters vehemently reject his personality. According to opinion pollsters, one and a half million of the 2 200 000 million Fidesz voters declared allegiance to Viktor Orbán rather than to the party itself, while the remaining 700 000 voters chose Fidesz because of anti-communist considerations, or on the principle of “the lesser evil”. Without renewal, Fidesz will find it very difficult to rally these voters once again. The Christian Democratic People’s Party (KDNP) is forming a separate faction in the Hungarian Parliament. The “novelty” and size of the party (it is the third strongest faction) – by advocating Christian-social values and using a more assertive tenor – might attract voters disillusioned by the defeat of Fidesz, while it could also prevent the creation or the reinforcement of an extremist rightwing party in Hungary. It is possible too, that after an impressive performance in parliament, the party’s support will grow sufficiently to appear in the opinion poll ratings. During the next cycle, the new Christian-democratic party faction could provide support for Fidesz to give voice to politicians that might be able to address urban and young voters with less conservative rhetoric more easily. 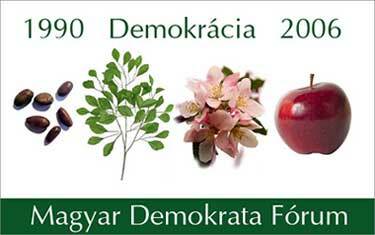 Unexpectedly, the Hungarian Democratic Forum (MDF) received enough parliamentary mandates. The Chairwoman of the party, Ibolya Dávid, who managed to delegate only 11 candidates to the National Assembly, created a surprise between the two rounds of the elections when she – in effect – helped the leftwing parties to victory, instead of contributing to the defeat of the coalition government. Thus, the MDF will not be a political force in the near future to attract sympathisers from the ranks of rightwing voters. The party’s room for manoeuvre is further restricted, since civil organisations and entrepreneurs close to government circles are behind the party. However, it is possible that in the early stages the MDF will be able to address disillusioned left-wingers at elections that are not so important in the eyes of the Hungarian public (i.e. local government and European parliamentary elections). The leftwing media could halt this process by withdrawing support from the MDF in case it was to siphon off a large segment of leftwing votes. On the whole, the future of the MDF depends on Fidesz. The smallest Hungarian parliamentary party’s room for manoeuvre would be very slim indeed if the largest opposition party were to refresh and rejuvenate itself, as well as formulate an attractive strategic programme. If in the next two years Fidesz manages to develop a new strategy and modernise its structure and rhetoric, there would be a good chance to offer a political force that is able to govern in Hungary as a real alternative to the present social-liberal government. The first challenge is imminent: Fidesz could adopt a stable position with respect to the expected austerity measures or the lack of any. On the other hand, if the Fidesz will not be able to demonstrate visible signs of rejuvenation in the course of 2007, it would not be the Fidesz’ presence in parliament that would be threatened primarily, but the democratic arrangement in Hungary, i.e. the political system of contest, which is one of the staunchest pillars of Hungarian democracy. While only a unified and rejuvenated Fidesz can prevent this eventuality in which Viktor Orbán should remain a transparent and leading figure, other politicians emerging from the democratic contest and are chosen from the second stratum, must assume a more distinct role too. > Despite Orbán’s youth, can there be rejuvenation without a change of leadership? Where does a charismatic leader when there’s no presidential vacancy. As Joerg Haider’s relationship with what’s left of the Autrian Freedom Party shows – transparent and (sort of) leading figure that he is – it ain’t easy.